Be Bold and Lead with Love! 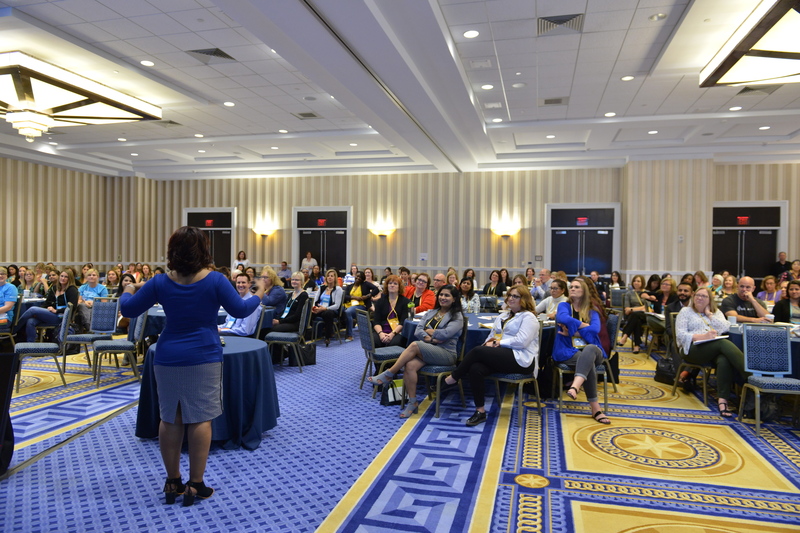 We came together at the SAFe Summit in DC, and left with inspiration and new connections. 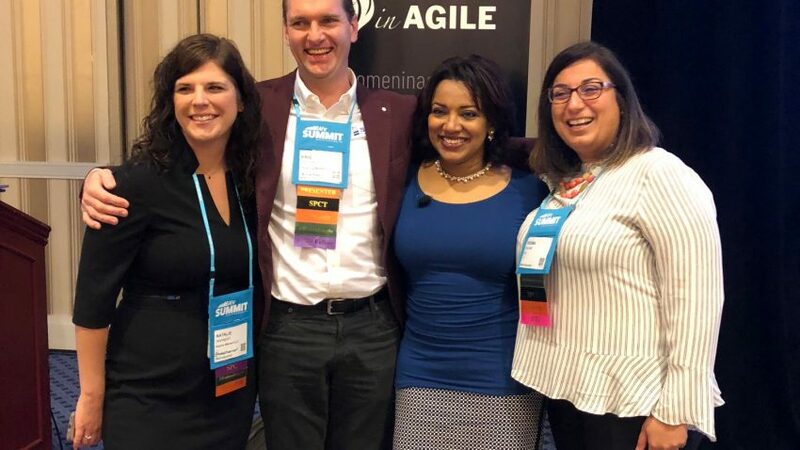 This event was Women in Agile’s second year at the Summit, and the results did not disappoint. In sharing this experience with you, let us recap what we saw, experienced, and felt. Growth! The event attendance doubled from last year, and sold out a month in advance. People showed up as early as 6:00am. Even at that hour, the energy level was high. Since the event, several local groups have launched including Panama City, Toronto, and Boston. This means Women in Agile local communities broke a barrier by going global! Energy! Attendees were engaged and interacting despite the early hour. One attendee tweeted “Thank you for a lovely and lively event and for reminding me why I came here!”. I opened the day with appreciations to the wonderful event team, Scaled Agile for sponsoring, and the Women in Agile board. 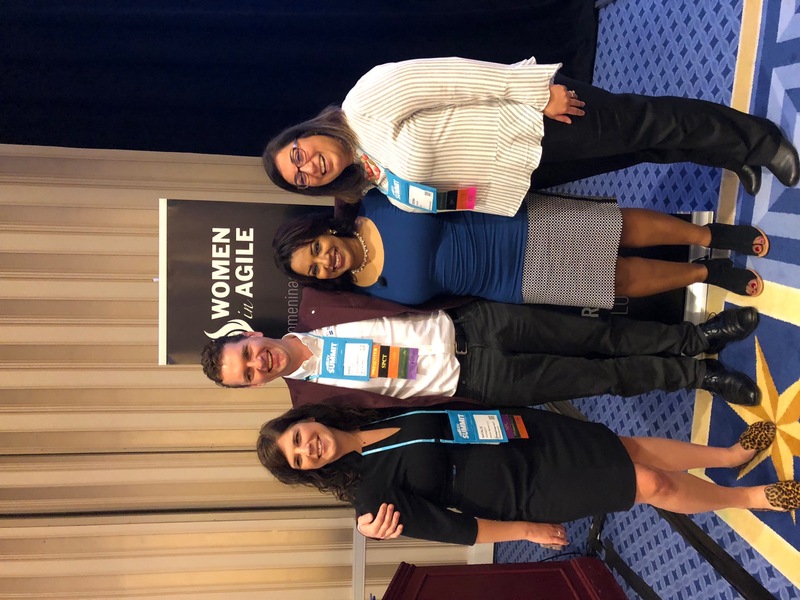 Then we shined the light on the wonderful work happening in the local communities that are organically forming around the country, these are groups supported by the Women in Agile organization. The local group leaders are passionate volunteers, that generously dedicate their time to nurture their local Woman in Agile communities. The key message was to support the local Women in Agile groups near you: 1) join them and attend their gatherings, 2) for notable speakers or authors to volunteer to present at the local meet ups, and 3) for businesses to sponsor their activities, as the #1 request we get from local group leaders is for a couple of hundred dollars to cover refreshments for their meetups. Then we introduced the featured speaker Sally Elatta, who gave a most moving talk titled Be Bold, Be Real, and Lead with LOVE. Sally opened with her personal journey of overcoming barriers, as a young girl born in Sudan who migrated to the US with her family, and eventually started her business which thrived despite tough economic times. It was also interesting to see Sally’s strong connection to family woven through her presentation, this made her real and relatable to the audience. The talk centered around three powerful mantras: Be bold, be real, and lead with love. Then a surprising observation was shared, with a call to action “Many of the enterprise business agility transformations I’m in right now are led by very powerful woman that bring heart and soul everyday to that transformation… so show up, lead the change and show who you really are, don’t be afraid, be bold and show them what ‘different’ looks like.” This topic was wrapped up with the importance of mentors who encourage you to break through your personal constraints, Sally gave a nod to her mentors who included the late Jean Tabaka. Be Real was the next matra. Sally showed vulnerability with a personal story related to ‘imposter syndrome’ and shared a story about a time when her core beliefs were under attack at an executive retreat and how she found her courage to face the situation. There was not a dry eye in the house at that point! “All of us have something inside our heart that make us feel like imposters, being afraid to speak up or show who we really are, feeling like we don’t belong, but when you find that courage to speak up, you could make a lasting impact on those around you”. Sally’s message was clear, to speak up when we face those moments of fear. The book Radical Candor by Kim Scott was cited for giving candid feedback. Lead with Love was the final mantra that brought it home. Sally shared her leadership style for her company Agile Transformation, which is a wholesome inclusive style grounded in shared values. 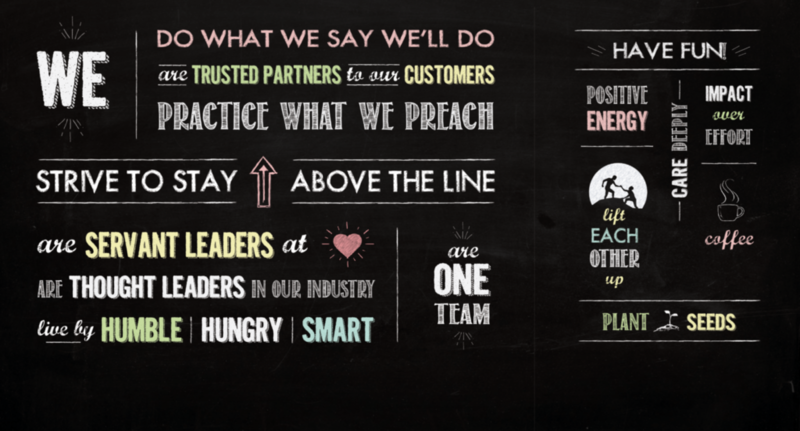 These values are very visible, Sally flashed the “wall of values” they have posted in the common area of their offices. 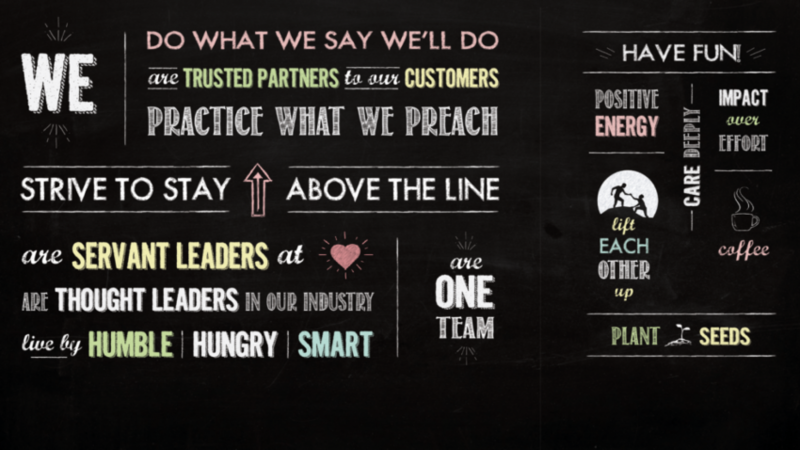 The values started with “we do what we say we’ll do”, and ended with “plant seeds” not weeds. You could hear the audience reaction to the painted wall, many felt they can take back to their organizations. Connected! Attendees shared some emotional moments, moments of inspiration, and a sense of community. We closed with an excerpt from Sally’s wall of values, a reminder to “lift each other up”. With that, we concluded one event and left with the intent to stay connected through our local communities. 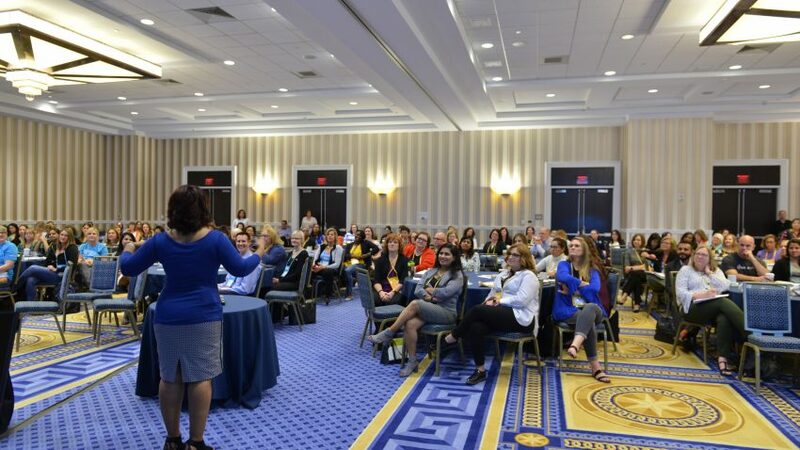 See you at the next Women in Agile experience! Special thanks to the event team: Liza Ridgway, Bria Schecker, Angel Chavez, Laura Powers, Alex Kanaan, Padmini Nidumolu, Kate Casey, Deema Dajani.